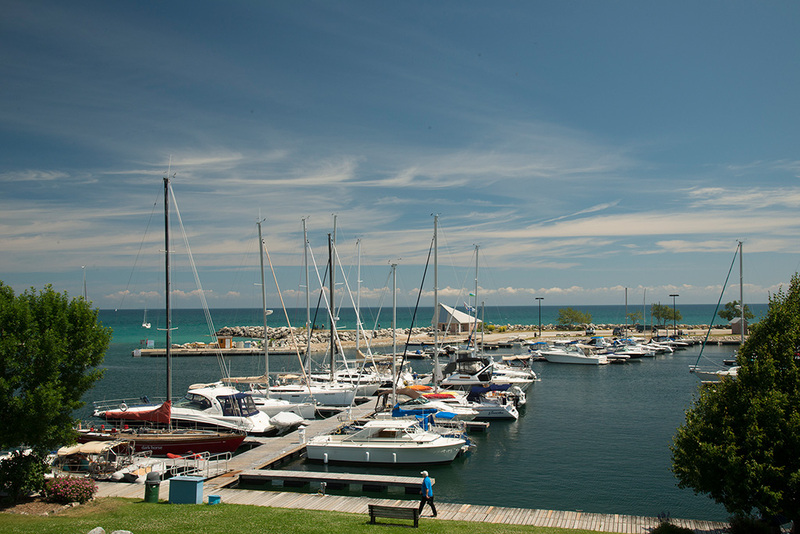 At Royal Harbour Resort’s doorstep is the beautiful Thornbury Harbour. 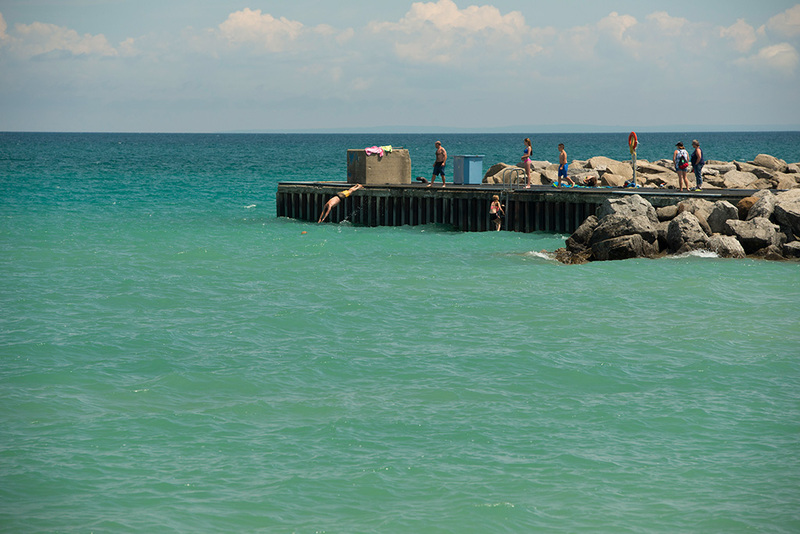 Take a stroll out to the end of the pier, a popular diving spot for the daring, and gaze out over Georgian Bay on a sunny afternoon. Watch the boats coming into the harbour. Marvel at the clean, clear water, where you go see down to the bottom. 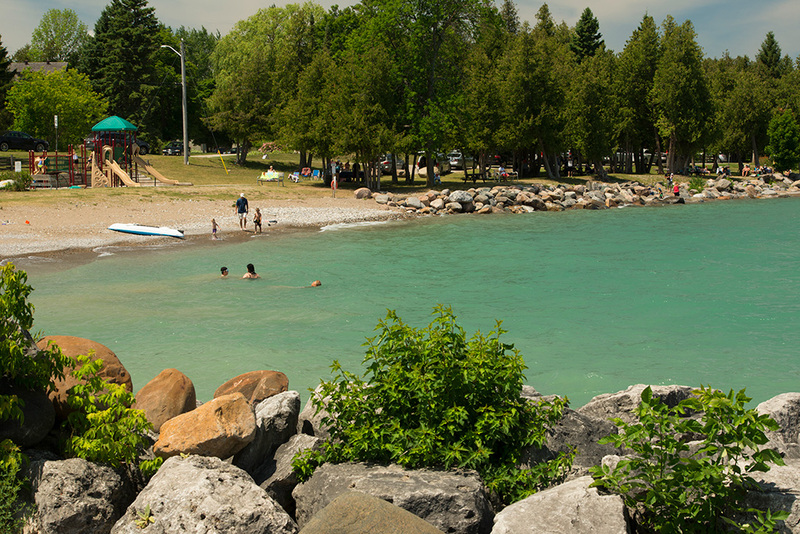 Walk over to the Little River Beach, a mix of soft sand and rocky pebbles, with a few treed areas. 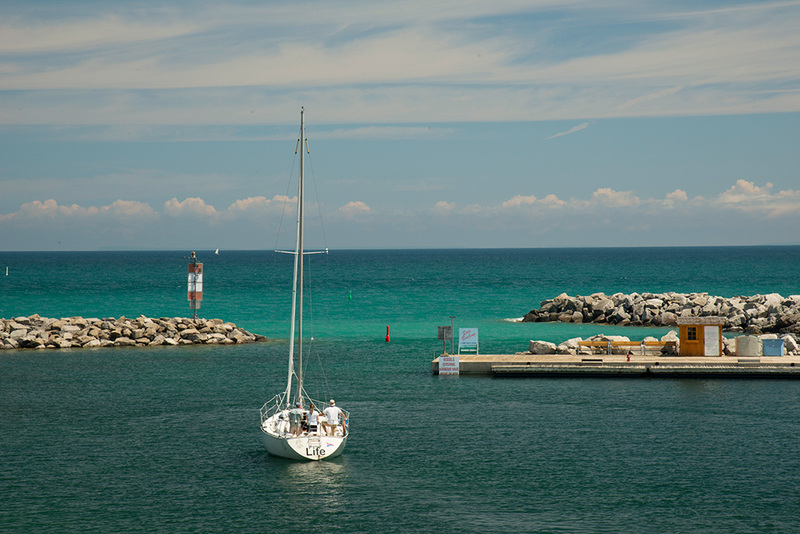 The Thornbury Harbour is located at the south end of Nottawasaga Bay between Collingwood and Meaford at the mouth of the Beaver River. The only significant offshore hazards in the vicinity are the May Ward Shoals, 5 nm to the east of the harbour. Approaching from the north, you will see the prominent Blue Mountain (150 m high) to the east and a smaller escarpment to the west. Another prominent landmark is the white Thornbury Water Tower which stands about 1 kilometer inland. A fairway buoy “TT” is located at 44° 34.15′ N, 80° 26.53′ W, off the Harbour mouth. From this buoy the course to the end of the pier is 205° True. The channel into the Harbour is to the left of the end of the pier. A landfall light is located at the end of the pier, showing white if you are on course, red if you are to the right of the course, and green if you are to the left of the course.